Families of children affected by birth defects suffer from a significant psychological burden across the lifespan, but there have been few studies on this topic in China. Our goal was to assess depression among mothers of children with birth defects (MCBD) and to explore factors influencing depression among MCBD in China. A total of 154 mothers of affected children aged 0–3 years old (MCBD) and 321 mothers of healthy children (MHC) in the same age range took part in the study. The Center for Epidemiologic Studies Depression Scale was used to assess maternal depression, and logistic regression models were used to explore the factors influencing depression among MCBD. 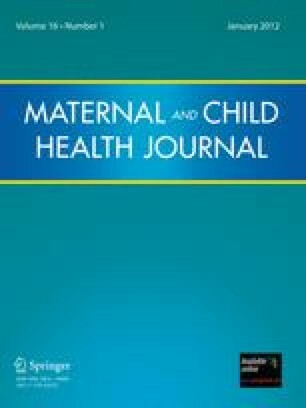 MCBD were more depressed than MHC and birth defects were associated with maternal depression after demographic variables were controlled. Poverty was the most important predictor of depression among MCBD. Appropriate interventions for depressed mothers are essential and should focus on poor families. Xinming Song, Ning Li, and Jufen Liu made equal contributions to this paper. This research was supported by the Chinese National “973” project on Population and Health (No. 2001CB5103), National Yang Zi Scholar Program.